Operators of Japan’s major convenience store chains need to formulate plans to address the severe labor shortage that is creating growing discontent among their struggling franchisees, the industry minister said Tuesday. Hiroshige Seko, minister of economy, trade and industry, said he will meet in early April with the heads of the four dominant convenience store chains. 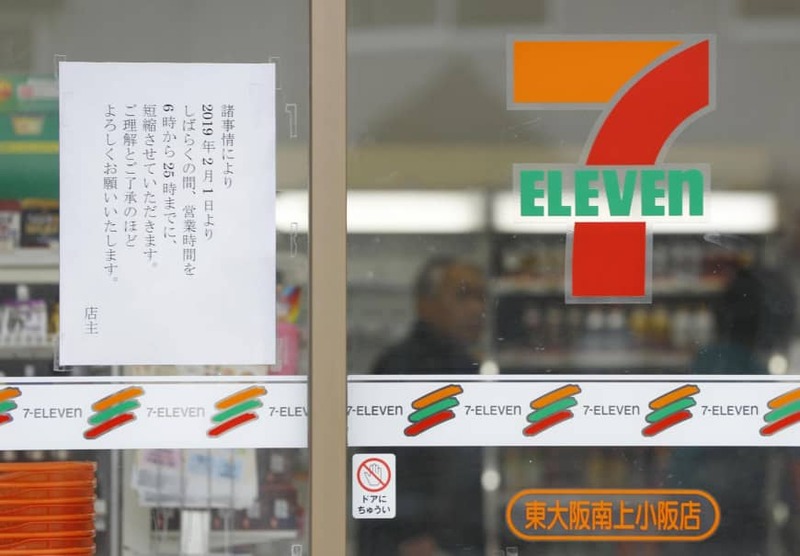 One of them, Seven-Eleven Japan Co., saw a franchise owner recently make news by going against the company’s 24-hour operating policy when he cut business hours at his store. Franchise owners of the other three — FamilyMart Co., Lawson Inc. and Ministop Co. — have also experienced issues in recent months caused by the country’s tight labor market. The lack of workers is proving to be a huge challenge to convenience stores, which have become important cogs in Japan’s social infrastructure due to the wide range of products and services they provide at all times of the day and night. According to a ministry survey released Tuesday, 61 percent of convenience store owners say labor is in short supply, up 39 percentage points from the previous survey in fiscal 2014. The survey also found that some 39 percent are not satisfied with business conditions under their franchise agreement, up 22 points, due to such reasons as their stores’ lower than expected profitability and the long work hours required to run them. “It is problematic, thinking in terms of the sustainability of convenience stores that have become infrastructure for people’s lives,” Seko said. The survey was conducted online from December to March and targeted around 11,300 franchise owners across eight convenience store chains, according to the ministry. In February, a Seven-Eleven store owner in Higashiosaka, Osaka Prefecture, began closing his store overnight due to a lack of staff. Seven-Eleven, however, reprimanded the owner for violating his contract. 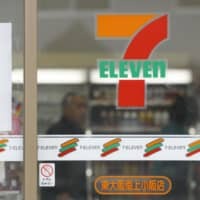 Seven-Eleven has said it does not intend in principle to change the 24 hours per day, seven days per week policy it established in 1975, but it did begin a trial of shorter operating hours at some outlets to gauge the impact on sales and consumer traffic. FamilyMart has also tested reduced hours. The impact of the labor shortage is not limited to convenience stores, which have been increasingly turning to foreign part-time workers to fill shifts. Japanese companies across the board have been struggling to secure labor amid the graying of the population and the country’s modest economic growth. Restaurant chain operators have been moving toward shorter hours, including Royal Holdings Co., which ended around-the-clock operation at all its outlets in January 2017. The job availability ratio stood at 1.63 in January, meaning there were 163 openings for every 100 job seekers, according to the most recent government data.